A Meteor Shower From Halley's Comet Peaks Tonight. Here's How to See It. The opportunity to see Halley's Comet pass Earth comes once, maybe twice in a lifetime. Arguably the most well-known comet, it only passes once every 75 years. It last made a swing past the planet in 1986 and won't come again until 2061. However, on the night of Sunday, May 6, you can look up and see pieces of Halley lighting up the night sky during the Eta Aquarid meteor shower. The Earth crosses the comet's orbital path -- the path the comet takes when it does pass -- twice every year. In April and May every year, it gives rise to the Eta Aquarid meteor shower, which peaks this Sunday night into Monday morning. The other pass comes in October with the Orionid meteor shower, which peaks on October 21. 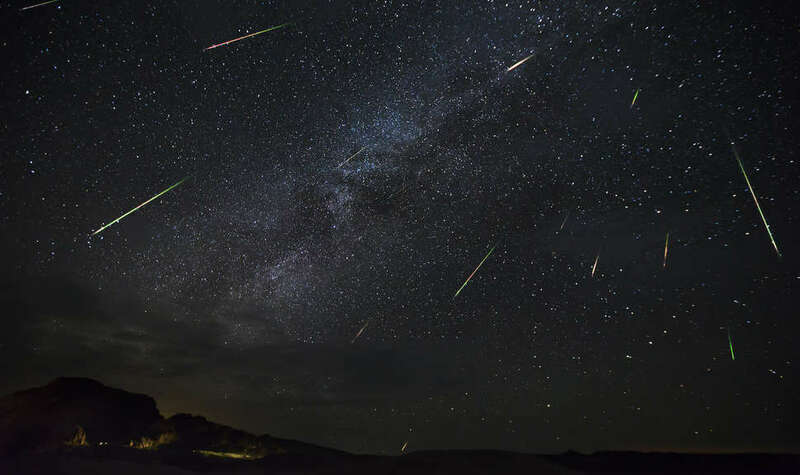 This year's Eta Aquarid meteor shower will produce around 25 meteors per hour just before dawn on May 7, according to Bill Cooke of NASA's Meteoroid Environment Office. The meteors arrive as hunks of dust from Halley's Comet crashes into the planet's upper atmosphere, with around half of the quick-moving meteors leaving a persistent, visible trail glowing in the sky. The shower is best viewed from the Southern Hemisphere, though it's still visible in the Northern Hemisphere. In the United States, the further south you're watching, the better you'll see the remnants of Halley while the comet itself is just outside the orbit of Neptune, according to EarthSky. Its 75-year orbit is the second longest of comets that produce meteor showers here on Earth. This year, a moon just past full will wash out many of the meteors, which is why you'll get your best viewing opportunity just before dawn. It's not the year's most active meteor shower, but it's still an impressive sight and the arrival of spring makes it a good time to catch one of this year's handful of significant meteor showers. Another crucial factor to consider before heading out to catch the show is weather. According to a handy map from Accuweather, much of the middle of the country will have fair to good viewing conditions, while almost all of the East Cost and the Pacific Northwest won't be as lucky. Check and double-check your local weather forecast for the early morning hours to be 100% sure. Location is extremely important, too. For the best shot at being dazzled by the meteors, go somewhere with a dark sky -- far from city lights and other obstructions on the horizon. Once you've got a good spot in mind, plan to arrive there early to give your eyes some time to fully adjust to the darkness. Then, when you're ready, lay on the ground or recline as much as possible to give yourself a wide view of the sky. No binoculars or other equipment necessary. If the weather ends up screwing up your view of the Eta Aquarids, or if you're too lazy to even fathom dragging yourself out of bed in the early hours of the morning, there are several more meteor showers you can plan to watch this year. You'll just have to be a bit patient for the next one to arrive. Next up are the the Southern Delta Aquarids, which peak in late July.